The National Thoroughbred Racing Association (NTRA), Daily Racing Form and the National Turf Writers And Broadcasters (NTWAB) today announced that Marty McGee has won the 2013 Media Eclipse Award for Writing in the Feature/Commentary category for “For Desormeaux, Conflicting Views on his Struggles,” about the difficult times of Hall of Fame Jockey Kent Desormeaux and the impact on his family, which appeared in Daily Racing Form on April 20, 2013. 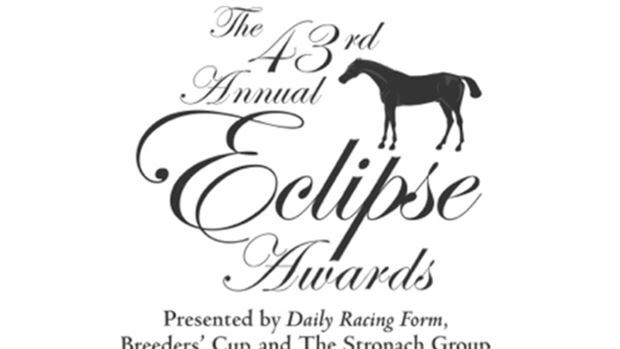 This is the first Eclipse Award for McGee, born and raised in Louisville, Ky., and who has worked at Daily Racing Form since 1992, following six-and-a-half years as a handicapper and racing writer in the sports department of the Baltimore Sun. He lives in Louisville with his daughters, Kelly, 18, and Molly, 16. McGee, a 1982 graduate of the University of Kentucky with a degree in journalism, has worked as the chief correspondent for the Form at Keeneland and Churchill Downs for 20 years; has been on writing assignments to more than 15 states; and has attended the last 40 runnings of the Kentucky Derby in his hometown. In “Conflicting Views,” McGee originally intended to interview Kent’s older brother, Keith, who had just trained the 3-year-old I’ve Struck a Nerve to win the last year’s Risen Star Stakes at the Fair Grounds in New Orleans. It seemed ironic to McGee that the tables were turned. Keith was on the trail to the Derby and Kent, who had ridden three Derby three winners, was not riding his brother’s horse. The Desormeaux name is famous in this part of the country known as Acadiana, primarily because of Keith’s younger brother Kent, whose feats as a world-class jockey have earned him three wins in the Kentucky Derby, a place in the Racing Hall of Fame, and wealth that no one in the family could have imagined. Keith, 46, and Kent, 43, have always been close in a brotherly way. These days, however, there is an underlying rift between them, although both are loath to say why. They are stubborn and self-confident and have an ongoing fundamental disagreement over why Kent, for all his accomplishments, has not been faring well lately with his riding career. There is an emotional conflict between Kent and his brother, along with others in their family, as to whether Kent is harming himself and his career with the way he conducts himself away from the racetrack. Keith’s enduring hope is to bring a horse to the Kentucky Derby with Kent as the jockey. But in the Risen Star, the winning rider was Jimmy Graham, and no change was being considered by Keith for the next two planned starts, the Louisiana Derby and Kentucky Derby. McGee then traces the journey of Kent’s life in biographical detail, though his battles with alcohol, the break-up of his marriage to his wife, Sonia, his complicated relationship with his children, a second marriage, and his quest to regain the trust of trainers he once rode for on a regular basis. McGee interviewed Kent in Florida, and Keith in New Orleans, and the Desormeax parents, Harris and Brenda, at the family home in the Cajun-country of Maurice, La. Throughout the story, the theme returns to Kent’s view of his own life in contrast to his family’s view of him. Desormeaux has lofty goals he still wants to reach, including tying Eddie Arcaro and Bill Hartack for the Derby record of five victories and surpassing Eddie Delahoussaye (6,384 wins) as the winningest Louisiana native. Back home, his family essentially is on the same page as Kent, albeit from a different slant. While Kent talks about rebuilding his career, they agree that, yes, that would be nice – although they are intent on him rebuilding something even more important. “It’s all up to Kent,” Keith said. It is, as they might say in Acadiana, a double entendre. Honorable Mention in the Feature/Commentary category went to Tim Layden for “Out of the Darkness,’’ a profile of former trainer Jeff Lukas and his life following a traumatic training accident in 1993, which was published in Sports Illustrated on October 30, 2013, and to Joe Nevills for “Finding Charley,” about the author’s eight-year search to find his grandfather’s favorite race horse, which was published in Daily Racing Form on November 9, 2013. Judges in this category were Ed Gray, former Boston Herald racing writer; Bob Kieckhefer of United Press International; Beverley Smith; former sports writer for the Globe and Mail in Canada and Lynne Snierson, former award-winning sportswriter and current freelance journalist covering the racing industry. There were a record 67 entries in the category in 2013.